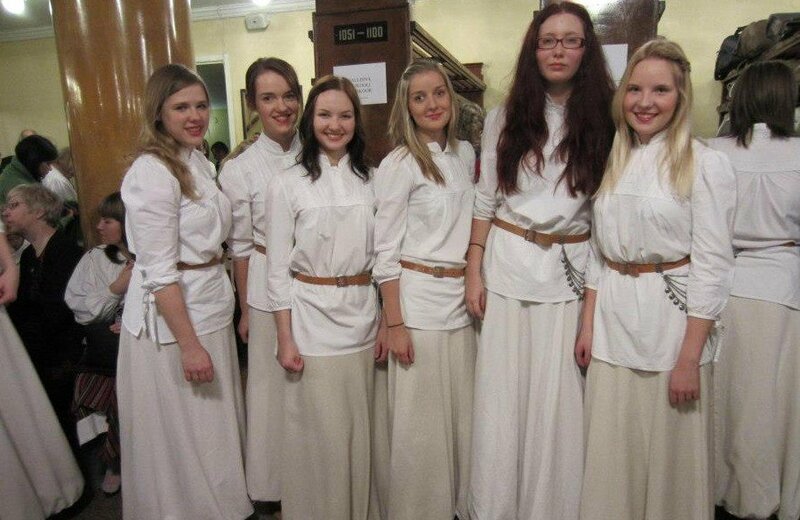 The first time I saw the Tartu University Academic Women’s Choir performing live was last summer in Toronto. The concert was lovely – the repertoire was beautiful, the ladies in the choir seemed to be really into the music and the conductor was obviously brilliant. 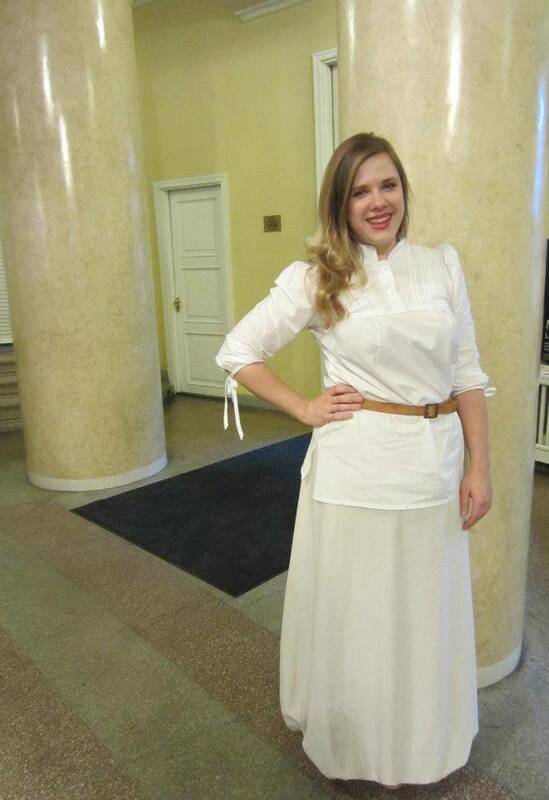 Right after the concert, I decided that I was going to try my best to join the choir when I got to Tartu in September for my study-abroad semester. I had been singing in choirs since I was young – a lifelong choir nerd. I had also always been a big fan of Estonian choral music and I loved composers like Arvo Pärt and Veljo Tormis. I had even been to the 2009 Estonian song festival (Laulupidu). Choral music was a big part of my personal identity and tradition, and I also knew that it was a big part of Estonian identity and tradition. 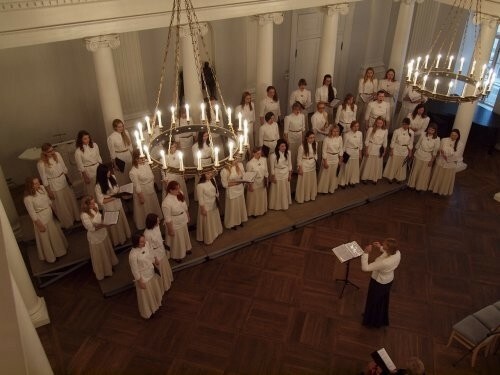 So, for me, singing in the Tartu University Academic Women’s Choir would be like “being on the mother ship”. I came to my audition in September, nervous that with my terrible Estonian and the fact that I was only here for a semester I would be at a disadvantage. Triin Koch, the director, was very patient with me and after my audition she kindly said, “Well, we normally don’t take students who are here for just one semester. But since you are from Toronto, and we love Toronto, we will make an exception.” And with that, I was thrown into the experience. Above all, I loved the music that we learned. Estonian is an inherently musical language, so singing Estonian words seems natural to me; it just makes sense. I find it fascinating that so many songs have onomatopoeic words like sirisege sirbikesed, tipa-tapa, piiri pääri and liiri lõõri. The words sound like the things you are singing about. It creates a beautiful mental-musical picture. I enjoyed going home after rehearsal and translating the lyrics for myself; the songs were often about being out in nature, love of country, the contemplation of time or music itself. I didn’t talk as much as I normally would back home during rehearsals and social events, but instead, I listened to everything around me. I listened to the conductor’s instructions, I listened to the girls chatting and joking and laughing around me. I especially enjoyed listening to the way the singers around me pronounced the words as they sing and imitating them until my pronunciation matched theirs. I noted the subtle cultural differences between Tartu choir and the choirs back home. First of all, I love how much Estonian conductors make fun and imitate the singers when they are singing lazily. Not only does it bring a lot of laughter into the rehearsal, but it also gets you to be more conscious of your technique, your posture and your attitude. 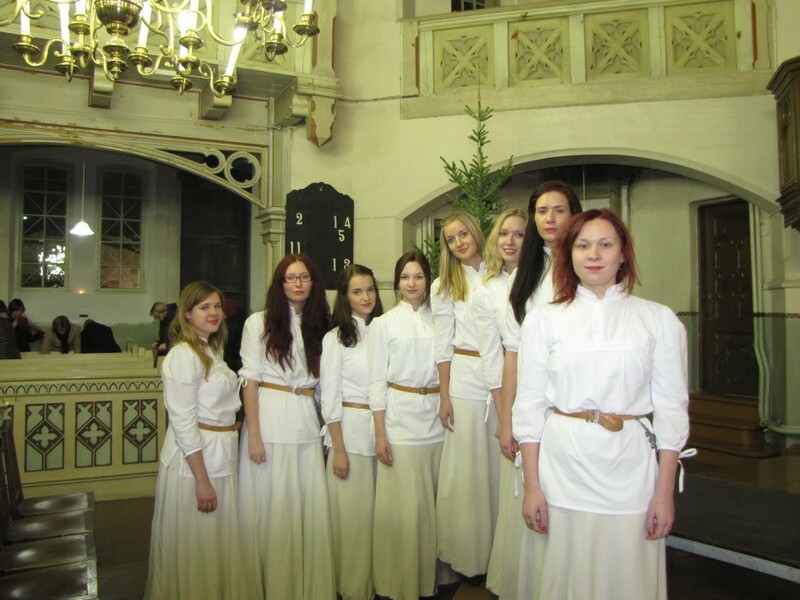 I also think that the Tartu women’s choir is much more physically oriented than some Canadian choirs – there is always a solid chunk of time spent in warming up the body and then the voice, at the beginning of every rehearsal. The singing warm-ups involved an exercise in sounds and vowels that English-speaking choirs do not use or focus on very much. The vowels are pure, and the movement between the different vowels is quite subtle. The exercises not only helped me improve my singing, but also the way I speak Estonian. The long buzzing scales and the insistent rolling of the Rs were challenging for me at first. Lucky for me I can roll my Rs, but for many Canadian choristers this exercise would be next to impossible. Estonians, however, take it for granted – of course you can roll your Rs for five minutes straight while going up and down the scale! Although sometimes I got lost during rehearsal (things happen and people talk fast), the girls around me were always helpful. I learned a lot, not only about the Estonian language, music and tradition, but also about my own singing and my attitudes toward socializing and intercultural exchange. It was a great opportunity for me to get out of the cozy international student bubble and put myself in new situations, testing my limits and my patience. At the end of my time with the choir, one of the girls told me a story about their Canadian tour and in particular their visit to an Estonian retirement home in east Toronto. She told me that they had done a performance on the main floor of the home, but were not originally planning to sing on the top floor, where the most unwell patients were – the staff had told them they would not get too much reaction from that particular audience. They decided to sing to them anyway. They began with Ei sa mitte vaiki olla, a beautiful women’s choir hymn, full of meaning. To everyone’s surprise, as they were singing, one of the residents was moved to get up from out of her wheelchair and started to sing herself, with a shaky voice, in pure Estonian. The girl noted to me at this point that generally speaking, the choir is not often very emotional about things – the conductor frequently tells them they need to have more emotion when they sing. But as they watched the lady sing with them, remembering all the words, they struggled to continue singing themselves as tears formed in the corners of their eyes. I sat there as she told me this story, struggling myself not to shed a tear. I marvelled at the coincidence of the fact that my grandmother, with severe Alzheimer’s disease, lives in that very same wing of the retirement home. I marvelled at the powerful healing effect of music, at the way in which music brings out life and emotions in people and connects people in ways that would otherwise be impossible. I wondered if my grandmother had heard them sing too, although she wouldn’t now be able to tell me about it. I hoped that she had heard the music and had been singing the song in her heart. Who knows, it could even have been her who had stood up. She had always had a beautiful voice.